Do you know any inspiring young entrepreneurs and leaders who are JA Alumni? 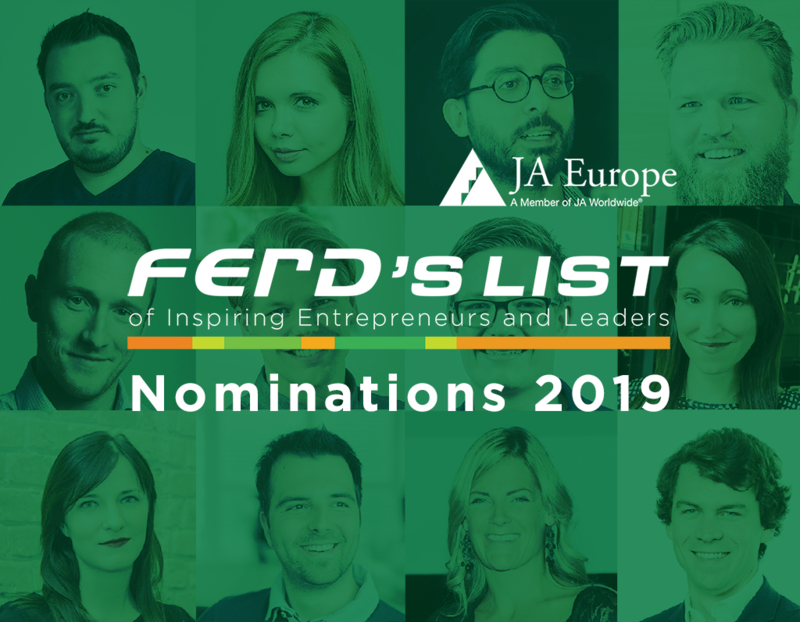 We invite you to nominate JA Alumni across Europe for the FERD’s LIST 2019. The nomination process will be opened until 12 April 2019. FERD’s List aims to identify young people who achieved outstanding results in their life after the JA experience. It looks not only on what they achieved, but wants to celebrate the pathway they are on; recognizing them for being in the moment where their potential is being transformed in greater value for the society. Trustworthy, passionate, high integrity, strong communicators, good listeners, vision, grateful to their team, positive. Nominations are open for the third edition of FERD’s List, aiming to recognize Junior Achievement alumni whose entrepreneurial potential is being transformed in greater value for society. Nominations until April 12.